Do you find that you’re dreading the colder weather because it means spending more time indoors? The state of your home can influence your sense of wellbeing more than you think. Feeling overwhelmed by clutter and being unable to relax at home can be a real downer especially when coupled with shorter daylight time. As a coach, I can safely say that the majority of my clients’ moods and behaviors are impacted by the condition of their home environments. This includes mess, perfection, design, decoration, and even domestic relationships with roommates, neighbors and more. While dwellings are only a small piece of the puzzle, I usually take it into consideration when working with clients because, for some, it’s an easier area to start regaining a sense of control in life. Plus, even a minor adjustment can boost mood drastically, which then improves attitude and outlook when attempting some of life’s bigger goals. I reached out to a few pros to get their best advice on how anyone can make simple and smart decorating adjustments to feel more energetic, inspired, comfortable and cozy this season. Many of us are aware that aromatherapy can be useful for relieving anxiety and stress, boosting energy, easing headaches and more. 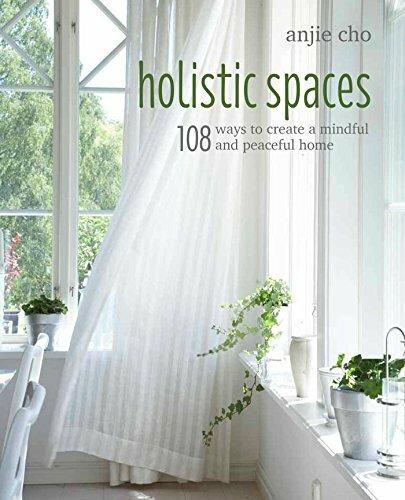 Anjie Cho, Architect and Author of 108 Ways to Create Holistic Spaces: Feng Shui and Green Design for Healing and Organic Homes, recommends embracing the scents of the season and inviting them into your space.